In February, it’ll be five years since we published our first post and shared SpanglishBaby with the world. So much has happened since then… We’ve become a strong community of like-minded parents sharing tips and info on what has worked for us as we raise bilingual children, we wrote our first book Bilingual is Better and we met many other wonderful people in the same journey both online and in real life. Today, our own spanglishbabies are no longer bebés. The two little girls that got us started in this venture have grown up. Vanessa is a 7-year-old second-grader and Camila is a 6-year-old first-grader in a dual language immersion school. Meanwhile, Santiago is on his way to becoming a Kindie in the Fall. We like to think the three of them are already bilingual and, while we know there’s lots more work still to be done, a strong foundation has been established and we can’t deny we’re proud of what we’ve accomplished with our kids so far. We’re also very proud of what we’ve accomplished with SpanglishBaby, but after giving it lots of thought, we’ve decided the time has come to reevaluate this project to figure out what we want to do with it next. That’s why we’re putting the blog and the community on SpanglishBabyPlayground.com on hold until further notice while we determine the future of SpanglishBaby. That means we won’t be publishing any new content on the blog, but we have NO plans of taking it down. As you can imagine, we’ve amassed a considerable amount of valuable info in the last five years and we want to make sure it continues to be available to those who may find it useful. Plus, we want to make it very clear that our decision doesn’t mean we won’t continue supporting the bilingual parenting movement. To that end, we’ll continue to be very active in our social media channels — mainly our Facebook page, our Twitter account, and our Pinterest boards, but also Instagram, Google+ page and our YouTube channel — making sure to share any and all pertinent information that would be of interest and use to those of us raising bilingual children. Expect to see a lots of stuff from many of our amazing contributors who have lots to share on the topic in their own blogs. Speaking of contributors, we’d like to take the time to thank each and every single one of them, as well as those who submitted a guest post, for their valuable contributions to SpanglishBaby throughout the years. It’s no secret that without them, this community would not be the same. ¡Mil gracias! for all the insightful, poignant and candid articles that helped us see there are lots of ways of raising bilingual children and that we’re all pretty much in the same boat. There’s also a team of fabulous ladies that kept the day-to-day going behind the scenes and we’re eternally grateful for your handwork and vision. And, to our loyal followers, thanks for helping us create such an amazing community, for your constant support and for sharing our vision with us. When Ana and I embarked in this adventure together back in the summer of 2008, I had no idea where the journey would take us. The original plan was to create an online community where other parents like us would find the information, support and resources they needed to successfully raise bilingual and bicultural children. But, in all honesty, I never imagined we’d accomplish that and much, much more. Through the years, I’ve been in awe of the awesome community SpanglishBaby has grown into thanks to not only our talented and diverse group of regular contributors, but also thanks to the unrelenting support of all the parents who follow us. It’s been incredibly gratifying and beneficial to know that we’re definitely not alone in this difficult, but extremely rewarding journey by hearing the different stories of triumph and hardship from so many of you. 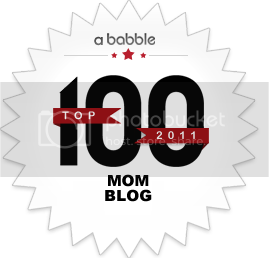 But the most rewarding part of running this blog has been getting a message or comment from a mom or dad saying how grateful they are that SpanglishBaby exists and how much they’ve learned while visiting our site. That has been like music to my ears each and every single time because that’s the main reason SpanglishBaby was born. Así que, ¡gracias totales! for the last five years, for helping us create such an extraordinary community and for teaching me so much about raising bilingual children and parenting in general. I’ve never liked goodbyes, so I’ll just end my personal note by wishing each and everyone of you much success in your bilingual parenting journey. Never forget that bilingual is definitely better and here’s to the next generation of bilingual Americanitos! This really just feels like an ¡Hasta Luego! and not an Adios because SpanglishBaby is not over, just evolving, like we are. The last five years have taught me that it does take a village to raise a bilingual child — and that village was right here. You’ve all become my inspiration, my accountability and my drive to push forth with this mission that grew out of a personal passion once I became a mom. Thanks to your comments, your tweets, your emails and even random encounters offline, I know that this labor of love has had a deep effect on you and many. Maybe SpanglishBaby, through our honest stories and those of our contributors, planted a seed or ignited the flame that convinced you that bilingual IS better and you felt you belonged somewhere. I know because many of you have told me just that with tears in your eyes. Just how many people can truly understand why this is so important to us and why it truly comes from the heart? That passion and that conviction must go on because collectively we are changing the face of America, uno por uno. The information landscape has changed so much since Roxana and I launched SpanglishBaby. Now there are many incredible resources and blogs available; much, much more libros en español; a growing number of schools offering dual immersion programs because educated parents like you are demanding them; more apps, games, music and such. And that makes me ecstatic for you, for us and the future. So keep spreading the message. Keep following our social channels (you’ll always find me behind those SpanglishBaby avatars and updates) and sharing with us there. We will keep the flame alive and leverage it to elevate all those doing amazing things for bilingual kids. Thank you for being part of the most gratifying and enriching part of my life journey. I’m so glad I discovered you when my daughters were young. It’s been so inspiring to watch this space grow into the amazing community it is. You ladies and your entire team are incredible. Thank you for all the hard work and amazing content and resources you’ve shared through the years! Here’s to a bright future whatever it may hold! 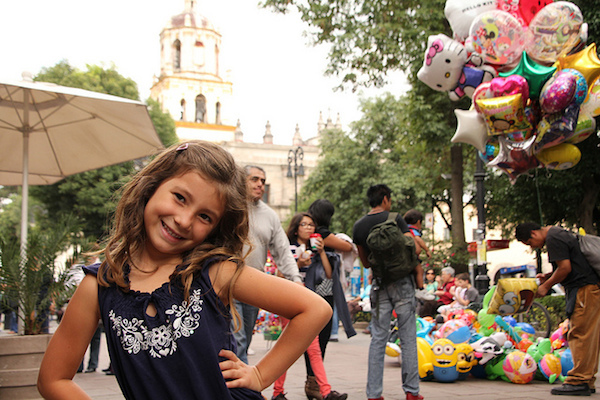 Carla, you were one of our first “Week of Mamás Blogueras” writers and it was beautiful! Thanks for being a part of this journey from the start. Ladies, your blog inspired me to start mine after a year or two of reading it. As a father, husband, and bilingual Spanish teacher, raising nuestra hija in Spanish and English was a natural choice. Even though you’re putting down the torch, I hope I can be part of the next generation to raise it! So awesome to hear from you, Carla! Thanks for your kind words and for contributing to our beautiful community! Esas nenas deben estar muy grandes ya!!! Bueno, you already know how I feel about you guys. Te quiero tanto, and thank you. And you know how I feel … blessed and lucky you were part of this Familia! Gracias, amiga! Vanessa, I still remember the conversation we had about you becoming a regular contributor. You were so genuinely happy to become a part of our familia and I was so grateful for that! I’ve loved seeing you evolve and I’m so happy for you and everything you’ve accomplished. Adelante y love you too! I’m so sad to hear this, but I also understand. I just recently found SpanglishBaby, and it has been a great help to me as I try to make/keep my kids bilingual when it is not my first language, and we have no family members or close friends that speak it. I have been so encouraged, motivated, and inspired by the posts, and they push me forward. I will keep following you all on Facebook. Thank you for the inspiration. Thanks for your kind words, Katie. I’m grateful you found us and that it’s helped. Please do continue following us because we do intend to keep the inspiration and knowledge going! Glad you found us too! As you’ve probably seen, there’s tons of info here that will hopefully be helpful to you. As I’ve always said, I’m in awe of parents raising bilingual children in a language that’s not their first. Buena suerte! Muy Buena Suerte y que sigan los éxitos! The best is yet to come and SpanglishBaby will live forever. Gracias por TODO! Gracias por tu apoyo, Brenda! Éxitos para ti también! Thanks for contributing the excellent posts you did, Melissa. It’s been a joy to collaborate with you y conocerte mejor! Vamos con todo! Thanks, Melissa! I love your blog and all the unique posts you did for us. Although bittersweet I am truly happy for you, and looking forward to your next project! You ladies are an inspiration, and I’m blessed to have been part of this awesome community that is SpanglishBaby! ¡Suerte, y sobre todo muchas, muchas bendiciones! Thanks, Frances, and don’t stop publishing your posts about raising your boy to be bilingual and bicultural because we’ll keep sharing them. Thanks so much, Pattie! Can’t wait to hear more about how your boy is doing in his dual immersion school! Casi lloro!! But like you say it’s just Has Luego. You guys have done an amazing job already, no tiene precio. Spanglish Baby is already the wikipedia for parents wanting to raise their kids bilingual and will forever be! Adelante! Jaja! Me encantó! Es gracias a SpanglishBaby y tu blog que nuestras familias se conocieron y logramos tan bella amistad. Lo atesoro por siempre! Y claro que compartiremos tus artículos de Adrián y Maya en sus aventuras bilingües! The wikipedia for parenting raising bilingual kids? I love it! Thanks for saying such an awesome thing!!! Y, pues sí, si no hubiese sido por SB, no te hubiese conocido, así que very grateful for that!!! Mis mejores deseos y muchas gracias por todo! Gracias, Pilar! Y cómo no compartimos una de tus recetas aquí??! Que sigas con los éxitos! I’m equally as sad as everyone else to see the blog go, but wanted to say thanks for letting me be a part of it for the past few years. 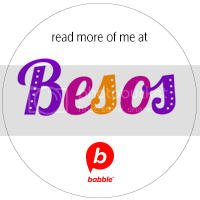 SpanglishBaby has reminded me that it’s never too little or too late to raise a bilingual family, and exposed me to the products and resources that can make it happen. Best wishes on your future professional endeavors! Chelsea, what can I say? You’ve been and are such a valuable part of everything SB has accomplished. Thank you for sharing your most honest opinions and stories and for the excellent book and app reviews that everyone loves!! 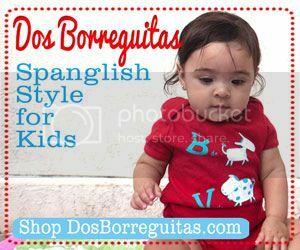 I remember the day i stumble across Spanglishbaby.com I was really happy to have found it, it has brought a reaffirmation of why raising bilingual children is so important. Thank you for your articles and encouragement. I wish you the Best Ana, you know I already think you are amazing!!! Suerte en todo lo que venga!!! Gracias, Denissa! I know you also have an urge to spread the message of raising bilingual kids and I hope you do. It does make me emotional to read you remember the day you found us and what it meant to you. Thanks for sharing!! Spanglish Baby was my inspiration for starting my blog and I know that it’s legacy will live forever. Ana and Roxana: you have changed so many lives with your amazing work! GRACIAS!! I know that wonderful things await you. un abrazote! Gracias, Paula! Your compliments mean a lot to me. You have a great blog too and we look forward to sharing what you continue to write about raising bilingual kids! Paula, qué palabras más lindas y que tocan profundo! What you’re doing is great and I hope you continue to motivate and share. I will for sure follow! Thank you both for all you’ve done – and for the push you’ve given us to keep bilingualism alive! I will miss the new posts, but I’m excited for your new adventures. Besos! Ladies, what you do is so important – you shine a light for others to follow, not only in your professional lives, but with your families. I wish yourselves all the very best. Thanks, Fiona! What a beautiful note. We hope to keep the light alive, but we know it’s gonna keep burning with all of you! Thank you Ana and Roxana for sharing your knowledge and supporting our community and culture! You are both amazing and I wish you the very best in anything you do. Thanks so much, Verónica. This means so much to us. Dear Ana and Roxana, you are both amazing! thank you for all these years of great content that inspired me and so many familias, maestros, comunidades, etc. I have to admit I am sad to see this change but I know we all have to evolve and I am very glad I got to be part of your community, it was a great experience. ¡Mil gracias! Gracias a ti, Xochitl, por todo tu trabajo y dedicación!!! Meeting so many wonderful people has definitely been one of the highlights of the last five years! Seguiremos en contacto, estoy segura!! Xochitl, eres lo máximo y tener tu apoyo incondicional no tiene precio! Lo que lograste con SB Playground fue maravilloso y sí hizo una diferencia para muchos. Gracias, gracias, gracias por ser!! I will be sorry to see you go. I have learned a lot from your site. I teach early elementary Spanish. I have no Spanish background and you have helped me keep it real. Thanks and buena suerte. Thanks for the note, Margaret! The good thing is that we know that there are so many amazing resources and bloggers creating the content that will keep this going and we’ll be sure to share it via social media. We hope you keep following us there and that what we share continues to help. I am still so sad about this, but I understand too. Being a part of Spanglishbaby has been an amazing journey. I loved the inspiration, the ideas the recommendations, the recipes and reading the thoughts of others. I needed the support being a non-native speaker, and now I have two boys who speak beautiful Spanish. Who would have believed that I would end up on CNN Latino being interviewed in Spanish–Incredible! You have inspired me not just with my own children, but with the students I teach. I am always writing about the importance of being bilingual. I have had 3 grants funded this year which will help me to make learning Spanish fun for 200 students. I am inspired to teach my own children and my students and will continue to years and years to come. Thank you a wonderful experience. Best wishes in all that you do. Susan, thank you for believing in SB and sticking with us for such a long time. I constantly mention you as an inspiration and a motivation to parents that think it’s too hard or can’t be done because their Spanish is not “good enough.” Your story always impresses them, and you’ve always impressed me. I know you’ll continue making a huge difference in this community, so thank you for that! Danielle! I feel I barely saw you last year and that has to change. Thanks for your beautiful and heartfelt words, as always. Besos! Gracias por el arduo trabajo que realizan, tanta dedicación profesional requiere mucho esfuerzo. Como mama de un chico de 9 y otro de 15, se que los desafíos cambian. Como bibliotecaria me toca seguir propagando el mensaje positivo de la importancia de la lectura y el de no perder el idioma materno. Siempre recomiendo el sitio de ustedes, especialmente a la gente nueva, desde que lo descubrí no más de un año atrás. Mis hijos son la muestra de que se puede! 3 idiomas y con un desarrollo académico impecable. La comunidad mundial necesita gente como ustedes! Buena suerte en su trabajo, que estoy segura no terminará aquí. This blog has been an amazing resource for us as my husband and I have embarked on our bilingual journey with our now 4 yr old son. So many times we have felt so isolated here in NC where we found only a few friends sharing this journey and this blog has cheered us so, and allowed us to feel connected to a national and international community of Latino and non-Latino families like ours that face similar struggles with educating their bilingual and bi-national children in often hostile environments. I hate to think it won’t be here as we enter the age of rebellion with Sebastian, but I’ve been so glad to have it as a resource to help us lay a solid foundation. I feel like I know all the contributors and their children, which may seem silly, but in reading about your successes and struggles we’ve come to feel very connected to this community. Les agradecemos muchismo, mil gracias para todo su trabajo, consejos y cuentos! Oh wow! It took me by surprise. But the “hasta luego” helps ease the change! Wish you two a lot of success and thank you for the great content. I feel as if we have met in person even though ours has been only a “virtual friendship” for the last 5 years. I am blessed to have crossed paths with you, thank you for sharing your passion, your energy, and your personal lives that exemplify raising a bilingual family. God has a path for us all and SpanglishBaby was just part of the journey He has scripted for you. I know this is not an adiós and that our paths will continue to cross and all will continue to hear from you via other mediums. Wow! This is really hard to read… I hope I will be able to keep up with the other social media, particularly Facebook, but the e-mail subscription to the blog was truly a staple in my parenting. I feel confident in our bilingual parenting now and I guess I can say that I am ready to not have the support of Spanglishbaby (primarily because I have other community because my own bebitos, like yours are in school now (kinder and next-year kinder), but WOW! seriously, you have been there with your posts every week for me with encouragement or resources (and awesome giveaways!) and I have read from early on probably April or May of 2008… I just can’t believe it, but wish you all the blessings and suerte! I still hope to get a chance to meet one or both of you in person… so close and yet, not yet connected face to face. mil gracias! I also want to send a special shout out the Chelsea… one of my favorite bloggers to read. Can we follow her elsewhere? This was a bit on the sad side to read since I just barely found you last year! My boy is turning 2 next week and proudly saying his first words all in Spanish so that he can speak with abuelito and abuelita. Proudly Mexican I have taken upon this endeavor, with my husband’s support (who is learning as much Spanish as my little boy is!) with a bit of ear and also excitement. Speaking three languages myself, the gift of languages was the best gift my parents gave me, and I want nothing less for my children. Thank you for being there when I felt discouraged and even scared about this journey. I will keep following you on Facebook! Hasta pronto! ana and roxana, you have both done so much to enrich and bring together a community of like-minded parents who care so deeply about passing on the spanglish torch to our chiquitos. thank you, gracias, thank you! the web is a better place because you were here. thanks for letting me be a small part of this wonderful site. i can’t wait to hear of your future endeavors. buenisima suerta! I just want to thank you both for the time you’ve put into this website. When I found your blog it was right at the time I started doubting whether my husband and I were doing the right thing (in regards to only speaking Spanish to my kids). Your blog reassured me that the challenges I was facing were common, and gave me the inspiration to continue. I thank you for that. Even though I hardly posted, please know that I always read your blog and even referred you to other friends who were thinking about raising bilingual children. I hope you continue to tell us how your own bilingual journey develops, especially because your children are growing up and there will be new challenges, such as how younger siblings seem to be less fluent in the minority language. Please keep us updated and good luck to you both! I was here to find a post to tweet … and read this. It reminded me of when I wrote my last post on my personal blog, which I may one day rekindle. I loved what you were doing here, I will never forget the book launch in Miami, when I met you both in person for the first time … and I know that the journey will continue. Besotes y pa’lante. Nooooo! I truly hope that you can come up with a redesigned concept that allows you to continue. I love reading about how other people cope with the challenges of raising multilingual kids. As for me, I don’t think my work will be done until my daughter is much older. So delectable! That appears to be irresistible. in more functionality under specific system size, while simultaneously reducing power requirements, heat and cost. Copper being a good conduct of electricity is preferred to print the circuit on the PCB. connected using copper tracks instead of wires. Woah! I’m really enjoying the template/theme of tbis blog. Congrats on the anniversary! it takes some perseverance to keep blogging for so long. Love your site! keep up the good work! Very cool, I always try to follow with this logical reasoning, thank you! She knows her Spanish numbers and colors pretty well so she would have fun “helping” me read those two books and the shapes one would be fabulous for her to learn. Continue writing articles with this quality. Very cool!!! cool, I always try to follow with this logical reasoning, thank you! I discover your blog only today and love all of your posts! Please, continue to write posts like the others! After study a number of of the weblog posts in your web site now, and I actually like your method of blogging. I bookmarked it to my bookmark website record and will likely be checking back soon. Pls take a look at my web site as properly and let me know what you think. I wish to convey my love for your generosity giving support to people that need help on the situation. Your personal dedication to passing the solution all-around had been quite helpful and has always made workers much like me to reach their pursuits. Your new useful suggestions indicates a whole lot to me and far more to my mates. Thanks a lot; from each one of us. Wondering when or if you’re coming back to your blog. It’s a great design and you’ve invested a lot of great content here. Rethink this blog and come back to it. It’s good stuff. daylight, for the reason that i enjoy to gain knowledge of more and more. A new website que puede ayudar a sordos. Spanglish!